AOA Cleaning & Restoration is an IICRC certified restoration and cleaning company serving commercial and residential properties in Northern New Jersey. We specialize in property damage restoration services such as flood cleanup, mold removal, sewage cleanup, storm damage repair and recovery as well as high level disinfectant services. Emergency service is always available. When customers are faced with severe damage from a storm, flood or ruptured pipes, they need to quickly find a partner that they can trust to return their home or business to normal – to navigate the true extent of the damage and determine and execute the appropriate course of action. Our professional, certified technicians are trained to do just that. 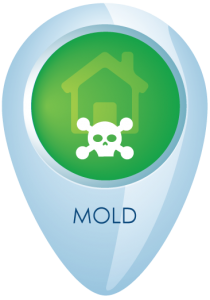 We are flood and mold experts. Our insured, certified restoration services team is standing by 24/7, ready at a moment’s notice to help you with any disasters. We promise to respond within 59 minutes and put a plan of action into place fast, so you can get back to normal. Remember us for FLOOD remediation and cleanups, MOLD remediation and cleanups, SEWAGE remediation and cleanups, and general water damage. We are local experts with the best in class training and certifications. If you have a flood, mold, or sewage issue that needs to be restored to normal AOA Cleaning & Restoration are the experts you’ve been looking for. We proudly provide expert cleaning, restoration and mold remediation services to Bergen County, New Jersey and the surrounding towns including (but not limited to): Midland Park, Ridgewood, Wyckoff, Glen Rock, Franklin Lakes, Allendale, Saddle River, Upper Saddle River, Oakland, Washington Township, Westwood.